Empower your team with the data that matters most. All your key metrics in one place. Whether it’s traffic, conversion, AOV, or RPV, Databox makes it easy to keep all your key metrics front and center. 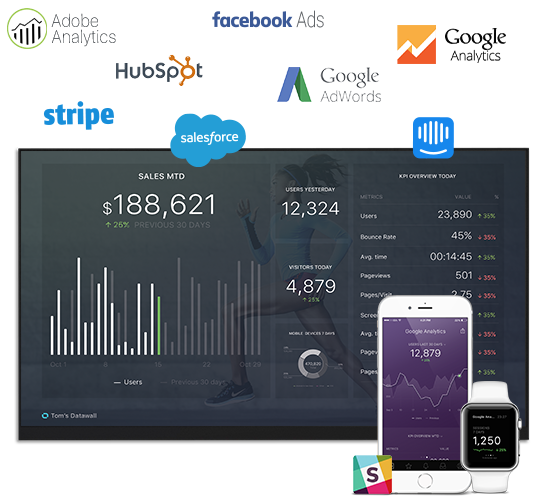 With Databox, your executive team will be able to stay on top of constantly changing data with beautiful dashboards that are optimized for mobile, desktop, or overhead displays. Databox is the perfect tool for regular reporting needs - your daily, weekly, or monthly reports can now be always on and always available. Design new dashboards easily with our drag-and-drop editor and make sure that the right people in your company can quickly access the metrics they need. 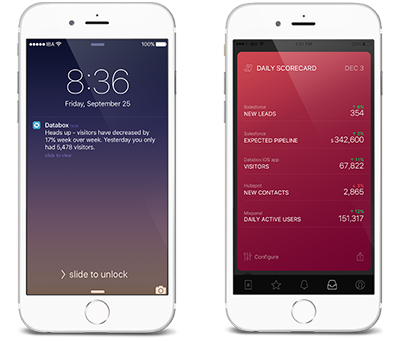 Our alerting capabilities spot any anomalies in underlying data and enable you to be proactive. We turn your reporting from look-back to action. 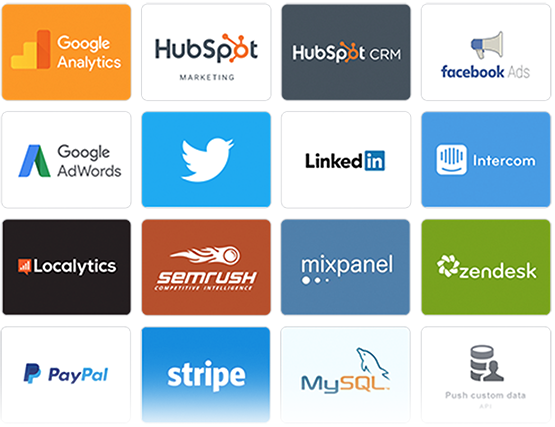 Choose from dozens of pre-built integrations or use our API to easily integrate data from your data sources. Quick setup and easy maintenance. Set up in minutes, not months. Anytime, anywhere.Slick mobile and desktop views for your most important data. All in one place.Aggregate key metrics from every source, including Adobe Analytics, into the ultimate executive-friendly dashboard. 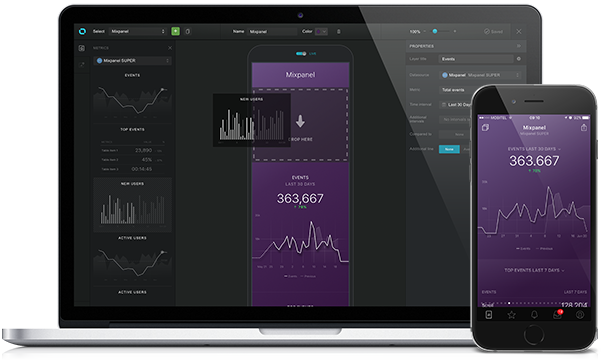 Powerful, yet simple.Use our drag and drop editor to easily create beautiful KPI dashboards.